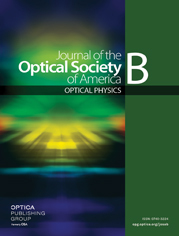 Interband photorefraction in near-stoichiometric lithium tantalate is demonstrated and investigated at the deep-ultraviolet (UV) wavelength λUV=257 nm. Formation of two distinct grating components is directly observed in depth-resolved measurements. The diffraction efficiency of a Bragg grating is measured as a function of the UV light intensity, the grating spacing, and the depth of the readout beam beneath the crystal surface. Typical time constants for the interband effects are of the order of a few tens of milliseconds for UV light intensities of approximately 100 mW/cm2, 3 orders of magnitude faster than the time constants reported previously for lithium tantalate.